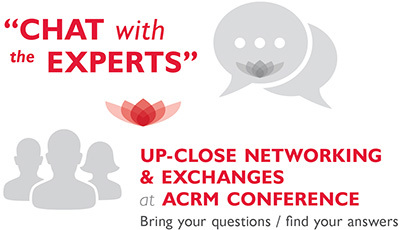 Now bigger than ever, the ACRM EXPO is the networking hub of the conference and an important addition to your educational experience. “Chat with the Experts” is an exciting new series debuting at this year’s conference to connect you with the LEADING EXPERTS. Bring your burning questions or explore new topics of interest. It’s all happening in between sessions in the ACRM EXPO Hall during CORE days 1 & 2 (WED & THU). 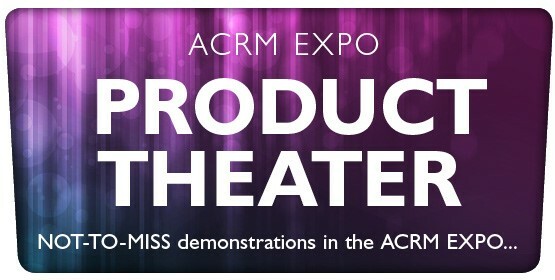 ACRM is pleased to announce an exciting new feature coming to the 2016 Conference EXPO called Product Theater. Held during program breaks, it provides attendees opportunities to learn about new products and product research from featured exhibitors. See product demonstrations and get the answers you need to make informed purchasing decisions. No need to register. Just come to the EXPO Product Theater at the times listed below. Restorative Therapies, Inc. will introduce the Xcite Clinical Station, a versatile and easy-to-use portable FES therapy system for neuromuscular re-education. Xcite is a stand-alone FES system that delivers patterned stimulation to upper extremity, lower extremity, and core muscle groups via up to 12 stimulation channels. The pre-programmed therapy libraries are designed to support patients in performing complex movements and functional task-specific therapies for neuro re-education. The FES therapy is easily integrated into conventional physical/occupational therapy programs to enhance patient outcomes. Xcite is a versatile breakthrough FES therapy system that can be used in the clinic with a wide range of patient indications or at home providing a continuum of care for ongoing rehabilitation. It is the newest in a growing line of FES-based medical devices from Restorative Therapies, the leader in FES Powered Systems. Visit our website to learn more. Restorative Therapies, Inc. is a proud sponsor of the 2016 ACRM Annual Conference. 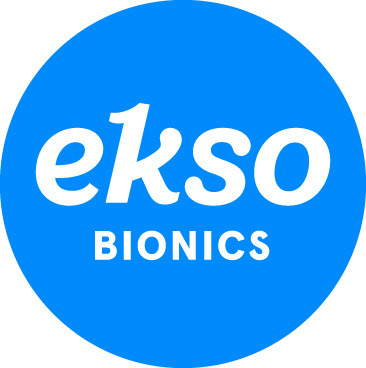 Ekso Bionics develops Ekso™ GT – the first exoskeleton FDA cleared for use with stroke and spinal cord injuries from L5 to C7. The Ekso GT with smart Variable Assist™ software is the only exoskeleton available for rehabilitation institutions that can provide adaptive amounts of power to either side of the patient’s body, challenging the patient as they progress through their rehabilitation. The suit’s patented technology provides the ability to mobilize patients earlier, more frequently and with a greater number of high intensity steps. To date, this device has helped patients take more than 55 million steps in over 125 rehabilitation institutions around the world. Visit our website to learn more. Merz North America, Inc. is supporting an educational Product Theater on Upper Limb Spasticity Research with Xeomin® (incobotulinumtoxinA): What You Need to Know via Case-Based Scenarios. Merz Neurosciences is a division of Merz North America, a specialty healthcare company that develops and commercializes treatment solutions in aesthetics, dermatology and neurosciences in the U.S. and Canada. Merz Neurosciences is committed to providing high-quality products and outstanding service to physicians in the fields of neurology, physiatry and otolaryngology. By developing products that improve patients’ health and help them to live better, feel better and look better, Merz will continue to make significant contributions to the well-being of individuals around the world. Merz Neurosciences is an important contributor to the U.S. neurosciences space, offering a well-balanced product portfolio that includes the neurotoxin Xeomin® (incobotulinumtoxinA), the anticholinergic Cuvposa™ (glycopyrrolate) Oral Solution and the Prolaryn family of products. For more information about Merz Neurosciences and their U.S. product portfolio, please visit www.merzusa.com. Merz North America, Inc. is a proud sponsor and exhibitor of the 2016 ACRM Annual Conference. The Academy of Spinal Cord Injury Professionals (ASCIP) unites four professions with the focus on SCI/D. By integrating the disciplines of medicine; nursing, psychology, social work, behavioral health & rehabilitation therapy, diverse perspectives are shared and comprehensive results are achieved to enrich the continuum of care for individuals with SCI/D. AlterG’s innovative products, the Anti-Gravity Treadmills and Bionic Leg, are designed to enhance the rehab process, for both therapists and patients. The Bionic Leg, designed for patients with neurological and orthopaedic gait disorders, is a robotic assistive device that is activated by patient initiated movements, whilst providing stability and assistance during gait training. The American College of Occupational and Environmental Medicine (ACOEM) was founded in 1916, and is the world’s pre-eminent society of occupational physicians and related healthcare professionals. ACOEM is composed of more than 4,500 professionals who are committed to championing the health and safety of workers, workplaces and environments. AMPCARE’s Effective Swallowing Protocol (ESP™) unites the benefits of electrical stimulation while incorporating proper postural strategies and a protocol of swallowing exercises. This systematic rehabilitation approach provides clinicians with the tools to accelerate and restore their patient’s swallow function. ESP provides better and faster outcomes in a cost effective manner. The Amputee Coalition is the leading national, donor-supported, non-profit organization serving the limb loss community. Our mission is to reach out to and empower those affected by limb loss to reach their full potential through education, support, and advocacy, and to promote limb loss prevention. Avanir Pharmaceuticals, Inc. is a biopharmaceutical company focused on bringing innovative medicines to patients with central nervous system disorders of high unmet medical need. We are dedicated to advancing medicines that can substantially improve the lives of patients and their loved ones. For more information about Avanir, please visit www.avanir.com. Barrett Technology, LLC has a 25 year history of supplying robotic solutions to university researchers. The company leveraged its expertise in robotics to focus on neurological rehabilitation, motor learning, and motor control. The result is the Proficio System – a 3 degree of freedom robotic arm with 7 control strategies engaging biofeedback gaming environment, and assessment capability. The Brain Injury Association of America (BIAA) is the country’s oldest and largest nationwide brain injury advocacy organization. Our mission is to advance awareness, research, treatment, and education and to improve the quality of life for all people affected by brain injury. Brooks Rehabilitation is a recognized leader in providing a coordinated continuum of world-class rehabilitation solutions. Our system of care includes one of the nation’s largest inpatient rehabilitation hospitals, skilled nursing, assisted living, memory care, home healthcare , outpatient clinics, community programs, a research division and a physicians practice. Casa Colina Hospital and Centers for Healthcare is a non-profit medical and rehabilitation provider that administers physician-directed care for people with disabling conditions resulting from accidents, disease or illness. Services include inpatient and outpatient rehabilitation care, transitional care, physician specialty clinics, children’s services, diagnostic imaging, residential care and more. The Center for Large Data Research and Data Sharing in Rehabilitation is building rehabilitation research capacity by increasing the quantity and quality of rehabilitation outcomes research using large datasets. The CLDR is expanding its mission to include a focus on data sharing and archiving information from completed rehabilitation research studies. Children’s Healthcare of Atlanta offers rehabilitation services in their acute inpatient rehab unit, day rehab program, and 8 outpatient rehab facilities throughout metro Atlanta for patients ages birth to 21. Visit www.choa.org/rehab for more information and how to contact us. By using DARI’s markerless, predictive motion analysis technology, you can objectively measure recovery and improve patient outcomes. DARI captures full-body kinematics and kinetics, processes the data in seconds, and delivers a customized, easy-to-read report in minutes. DARI is the first motion-capture based movement health system that fits your workflow. DVBIC serves active duty military, their beneficiaries, and veterans with traumatic brain injuries (TBI) through state-of-the-art clinical care, innovative clinical research initiatives and educational programs. DVBIC fulfills this mission through ongoing collaboration with the Department of Defense, Armed Forces, VA, civilian health partners, local communities, families and individuals with TBI. The mission of the Defense Centers of Excellence for Psychological Health and Traumatic Brain Injury (DCoE) is to improve the lives of our nation’s service members, veterans and their families by advancing excellence in psychological health and traumatic brain injury prevention and care. Dynavision International has manufactured its industry leading, FDA cleared medical evaluation and rehabilitation devices since 1989. With over 1,200 installations in 36 countries, the Dynavision name has become standard for Occupational, Speech and Physical Therapists, Optometrists, and Neurologists. Dynavision has over 20 years of research in physical medicine and rehabilitation. Ekso Bionics develops Ekso™ GT – the first exoskeleton FDA cleared for use with stroke, and spinal cord injury levels to C7. FacingDisability.com was created to connect families who suddenly have to deal with a spinal cord injury with other people like them. It offers up-to-date medical information and over 1,800 videos of family members and medical experts answering important real- life questions about spinal cord injury. 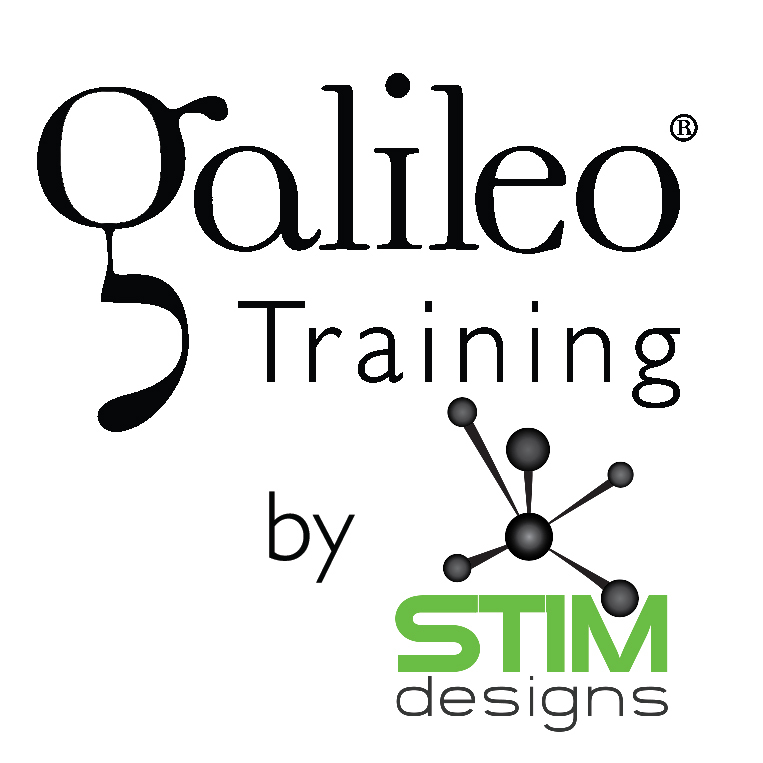 Galileo is a universal neuromuscular training tool for improving muscle fitness, enhancing performance, and optimizing motor relearning under the principle of high-repetition in minutes. Unlike other muscle devices, Galileo provides intense muscle training by inducing muscle contractions differently through the involuntary stretch-reflex instead of traditional training through voluntary muscle contractions. GestureTek is the inventors of video gesture control as well as the revolutionary IREX Immersive Rehabilitation EXercise system, where the user’s live video image is on screen inside 25 different gesture controlled environments, and guided through an adjustable regiment of physiotherapy. 30+ studies back its dramatic impact for improved results. 500+ installed worldwide. g.tec produces hardware and software for real-time processing of biomedical signals, primarily EEG. Our booth will feature recoveriX, a new system that uses each patient’s motor imagery (detected through EEG) within rehabilitation. Visitors to our booth can don a wireless electrode cap and see their own brainwaves. Gundersen Health System, based in La Crosse, Wisconsin, invites you to join us in our mission to deliver excellence in patient care, education, and research, and to improve health in the communities we serve. We are a physician-led, teaching organization, employing nearly 500 medical staff across all medical and surgical specialties. HealthSouth is one of the nation’s largest providers of post-acute healthcare services, offering both facility-based and home-based post-acute services in 34 states and Puerto Rico through its network of inpatient rehabilitation hospitals, home health agencies, and hospice agencies. Hi-Dow International is the leading manufacturer and distributor of bio-electric muscle simulators. We specialize in pain management and recovery. All of our devices are FDA approved in the US; CE in Europe, and carry a 510k certificate for insurance purposes. Hocoma is the global leader for the development, manufacturing and marketing of robotic and sensorbased devices for functional movement therapy. We develop innovative therapy solutions working closely with leading clinics and research centers. Our products are applied successfully in renowned clinics and research institutes worldwide in the rehabilitation medicine field. Hollister Incorporated is an independently owned company that develops, manufactures, and markets healthcare products and services for ostomy care, continence care, critical care, and wound care. Hollister Incorporated is committed to making life more rewarding and dignified for people who use the company’s products and services. To learn more, visit hollisterpeoplefirst.com. The iDAPT Centre for Rehabilitation Research brings together the brightest research minds and state-of-the-art technology. It is a unique space where ideas are cultivated and tested in a real-life setting. The Challenging Environment Assessment Lab (CEAL) including; StreetLab, DriverLab , MultipurposeLab, and WinterLab. The Intendu Functional Brain Trainer provides an effective, accessible and affordable brain rehabilitation solution. The cloud-based platform provides personalized and adaptive brain training in game environments with natural body interaction. The platform trains functional cognitive skills such as behavioral control, attention, multi-tasking, self-initiation, working memory, planning and more. The International Brain Injury Association’s World Congress on Brain Injury is the largest gathering of international professionals working in the field of brain injury (traumatic and acquired, including stroke). The next World Congress will take place March 29 – April 1, 2017 in New Orleans, Louisiana. For more information, please visit our website. Invacare Corporation is a leader in the manufacture and distribution of innovative rehab products, from the Invacare® MyOn® HC manual wheelchair designed to be the first choice for a new user’s first wheelchair, to complex power wheelchairs such as the Invacare® TDX® SP or ROVI X3 including Motion Concepts Ultra Low Maxx positioning and Invacare® Matrx® seating. Located in the Baltimore/Washington region, Kennedy Krieger Institute is internationally recognized for improving the lives of 20,000 children and young adults with disorders and injuries of the brain, spinal cord, and musculoskeletal system each year, through inpatient and outpatient clinics; home and community services; and school-based programs. Kessler Institute, top-ranked by U.S. News for 23 years, is one of only eight NIDRR-designated Model Systems for the treatment and research of traumatic brain and spinal cord injuries. The nation’s largest single rehabilitation hospital, Kessler delivers that same pioneering care for stroke, neurological, amputation, orthopedic/musculoskeletal, cancer and cardiac recovery. The LifeWalker® Upright is a new, next-generation medical walker designed to enable users to stand upright and walk sooner, further, safer. Ideal for orthopedic or neurologic patients, the LifeWalker enables full strides, is adjustable for patients of different heights, and includes supportive armrests, lockable caliper brakes, and sit-to-stand assist handles. We develop a motion-sensing technology and game-based rehabilitation training system. The system includes thirty games used for patients with upper-limb, lower-limb, and balance rehabilitation, and recognition training, and a cloud system that collects data and helps therapists to analyze patients’ condition. It makes patients recover with fun and efficacy. LSVT Global trains speech, physical and occupational therapists in the evidence-based treatments, LSVT LOUD and LSVT BIG to restore communication and movement in people with Parkinson disease. LSVT Global has trained over 25,000 clinicians from 73 countries and offers free webinars, symposiums and exercise support tools to patients globally. Mary Free Bed Rehabilitation Hospital is a 167-bed, free-standing, rehabilitation hospital committed to helping patients regain independence following serious injury or illness. Comprehensive services and an exclusive focus on rehabilitation enables specialty physicians and staff to achieve outstanding clinical outcomes. Mayo Clinic is the largest integrated group practice in the world. Mayo Clinic Rehabilitation Medicine Center is a place for discovery, translation and application of inpatient and outpatient rehabilitation care. Mayo Clinic provides programs to develop and increase the knowledge, expertise and performance required to advance Physical Medicine and Rehabilitation. McGill University’s School of Physical & Occupational Therapy (SPOT) is a globally recognized, top-ranked academic institution, both in the delivery of enriched educational programs and in the creation of new discoveries in rehabilitation science and knowledge translation. SPOT offers two on-line graduate certificates: Chronic pain management and Driving rehabilitation. Mentis Neuro Health Provides specialized services to persons with an acquired brain injury that affects mobility, social integration, communication, employability, and re-entry into their homes and communities. As innovators in the field of brain injury, Mentis creates an environment that optimizes an individual’s potential. Merz Neurosciences is an important contributor to the U.S. neurosciences space, offering a well-balanced product portfolio that includes the neurotoxin Xeomin® (incobotulinumtoxinA) and the anticholinergic Cuvposa™ (glycopyrrolate) Oral Solution. We strive to deliver meaningful treatment options and a better patient experience in order to meet the needs of each person we serve. MindMaze is a Swiss neurotechnology company committed to enhancing the quality of life of individuals who have suffered brain and spinal cord injuries. We aim to revolutionize the rehabilitation process by combining advanced brain monitoring technology with interactive 3D environments to develop the next generation of medical devices. The Model Systems Knowledge Translation Center (MSKTC) is a federally-funded center that offers free factsheets, videos, slideshows, and other resources for people living with spinal cord injury, traumatic brain injury, and burn injury. The MSKTC is funded by the National Institute on Disability, Independent Living, and Rehabilitation. Motekforce link is a leading force in developing products for the clinical and research market, using various rehabilitation technologies. Products include instrumented treadmills, balance products and dynamic virtual reality systems. Our expertise lies in system integration and real-time feedback on human performance using interactive and dynamic Virtual Reality systems. National Stroke Association is a 501(C)(3) nonprofit organization. Our mission is to reduce the incidence and impact of stroke by developing compelling education and programs focused on prevention, treatment, rehabilitation and support for all impacted by stroke. The Rapael Smart Glove is a rehabilitative device that monitors hand movements through playing game-like exercises. It is designed to promote brain re-learning for active hand movement and function. Patients practice goal-oriented and task-specific motor skills with increased repetition while being stimulated in an environment conducive to hand rehabilitation. NeuroInternational is a premier provider of residential, community-based brain injury services. Our residential programs are led by expert brain injury clinical specialists and we use a comprehensive neuro-psycho-social approach to focus on all aspects of recovery. We’re committed to helping our clients achieve independence. OxyHealth is the world’s leading provider of hyperbaric chambers. Presently, OxyHealth is the pioneer of the industry with over 12,000 chambers in use, more than all other providers combined. OxyHealth continues to remain at the forefront of superior performance, quality and cutting-edge design concepts that far exceed industry safety standards. Paralyzed Veterans of America works to ensure veterans receive the benefits earned through their service; monitors their care in the VA spinal cord injury units; and funds research and education in the search for a cure and improved care and quality of life for individuals with paralysis. Indego® is an exoskeleton which allows gait impaired individuals to stand up and walk again thanks to powered hip and knee joints in conjunction with sensor technology and sophisticated control strategies. Indego can be used as a therapy tool or as a mobility assistive device for individuals. The Parkinson’s Disease Foundation (PDF) is a leading national presence in Parkinson’s research, education and public advocacy. Since its founding in 1957, PDF has dedicated more than $115 million to fund the work of leading scientists and nearly $50 million to support national education and advocacy initiatives. Patient Pal is a clinical patient communication and engagement platform that enables clinicians to achieve the best outcomes and highest HCAHP satisfaction scores from their patients by managing the patient between visits conveniently through their mobile device, providing notifications, education and tracking, throughout the care pathway. Pearson provides a comprehensive portfolio of research-based instruments to help clinicians develop insights that support evaluations and shape treatment plans. How are you managing the integration of behavioral healthcare into your medical practice? Stop by Booth #322 to learn more about Pearson’s integrated healthcare solutions. For more information visit www.pearsonclinical.com/integratedhealthcare. PRC believes that everyone deserves a voice. For fifty years, PRC has led the industry in providing AAC solutions with advanced communication technology and language development systems. Visit us to learn about our latest AAC solutions including our Accent™ family of devices. The Zeno Electronic Walkway powered by PKMAS software has become the most popular “gait mat” technology in the world. The Convertible 3-layer Zeno is expandable; deploy it as a standard walkway, a wide walkway (4’x26’ max) a long skinny runway (2’x52’ max). Capture balance, walking, turning, running, TUG, etcetera, on our extremely durable system. RHI, provides acute inpatient rehabilitation services, outpatient continuum and community reintegration services for adults with brain injury, stroke, spinal cord injury, and other disabling conditions. RHI is dedicated to assisting individuals in achieving their highest potential with a commitment to the values of respect, independence, quality service, innovation, and service to the community. Founded in 1988, Rehab Without Walls® provides rehabilitation to patients as they complete practical daily activities at home, school, work or in their own community. This unique evidence-based approach equips our patients with the skills necessary to participate as fully and independently as possible in life, wherever that may happen. Restorative Therapies is the leader in FES powered systems providing stimulation of upper and lower extremities and trunk muscles. Cycling, stepping, elliptical, supine and now functional task specific FES systems are available. Our unique database system, RTI Link, also makes Restorative Therapies an attractive research and clinical partner. ReWalk Robotics is the developer of the ReWalk™, a wearable robotic exoskeleton that provides powered hip and knee motion to enable individuals with Spinal Cord Injury (SCI) to stand and walk. ReWalk is FDA cleared for home and community use, is the most studied exoskeleton in the industry and has the most published data on exoskeleton potential benefits. NYU Langone’s Rusk Rehabilitation is a world leader in PM&R. Our research efforts, directed by Tamara Bushnik, PhD, are leading to breakthroughs in brain injury, stroke, and other critical rehabilitation areas. Learn more at med.nyu.edu/rusk or by checking out our new podcast for rehab professionals on iTunes or Stitcher. Spaulding Rehabilitation Hospital is nationally ranked by US News & World Report and is the official teaching hospital of Harvard Medical School. Our network provides a full continuum of rehabilitative care, with six inpatient facilities and 23 outpatient centers. Our mission is to provide exceptional clinical care, promote medical education, and advance research. ICARE is a fully-integrated system that provides a safe, effective method for assisting patients with neuromuscular disorders resulting from stroke, TBI, and other injuries or diseases. The controlled assistive design frees clinicians from strenuous manual manipulation and expands patient access to assistive technology, allowing them to improve their cardiovascular fitness. Tekscan is a leading manufacturer of tactile pressure and force measurement systems. Our systems are used by researchers and clinicians around the world to aid in the diagnosis and treatment of a variety of pathomechanical disorders, as well as to ensure effective offloading of areas at risk for pressure ulceration. The MotionMonitor is a turn-key 3-D motion capture system designed to capture and analyze research-grade biomechanical data, providing the ability to present immersive 3D biofeedback. Real-time measurement of the human body’s movement, brain activity, eye movement, muscle recruitment, and the external forces acting on the body is achieved using the broadest range of hardware available in the market. TOTO continually innovates to benefit the lives of all people, regardless of physical ability. The Washlet is a technology-assisted toilet seat that offers hands-free, hygienic cleansing for perineal areas. Patients suffering from severe pain, decreased mobility and degenerative diseases can experience the comfort and dignity of cleansing themselves independently. tyromotion GmbH is one of the worldwide leading providers of robotics and computer-aided therapeutic devices in the area of neuro-rehabilitation. Our portfolio includes tailor-made solutions for the upper extremity, especially for hand-arm rehabilitation. ViTRAK Systems Inc. has developed a pressure sensitive flooring system with sophisticated footprint analytic software for gait research/analysis. Branded Stepscan® this technology measures under foot pressure distribution and many other movement parameters (i.e. stride/speed of movement) –Stepscan® has many applications including security, sports training, clinical trials and other various forms. WOODWAY’s highly specialized line of treadmills have been the preferred choice of medical specialists for decades, specifically engineered for physical therapy, cardiology rehabilitation, bariatric, and any other rehabilitation application. WOODWAY’s rubberized t-slat system is the world’s most comfortable running surface, eliminating the harmful shock to connective tissue, joints, and muscles.